With a humid subtropical climate, Shanghai has all four seasons. The weather is mostly moist, springs and autumns are quite short, and summers and winters long. Summers are hot and humid, and winters on the other side are cold, though not as cold as in some other parts of China. Spring and autumn seasons are generally pleasant. The hottest months are July and August, when the temperatures can even rise up to 40°C (104°F). Most of the annual precipitation, which is in general almost 1,200mm (47.2in), falls during the summer, and June and August are months with the most of the rain. The period from the end of August and the very beginning of September is characteristic for typhoon sand rainstorms, though they usually do not represent a threat of damaging anything around. The coldest month is January, with the average temperature of 5°C (41°F), and it is quite rare to happen that they fall below zero. It is also not very occasional to snow, and at the same time it seldom comes to the point of freezing. The best time to visit Shanghai is during the spring, especially the months of April and May, and end of summer and beginning of autumn, in September and October. Weather during these months is pleasant and precipitation is small. There is also no summer heat or winter cold. Season for tourists in Shanghai is during the winter (January-February) and summer holidays (June-August). The largest crowds are during the holidays in the first week of May (Labor Day) and October (National Day), when the hotels and hostel are mostly full. The look of the city during the spring, that is, during the period when everything blossoms and gets new colors and shapes is quite amazing and dreamlike. The temperatures are also the most pleasant during this season, and with an average of 15°C (59°F), everything is perfect for outdoor activities. Regarding the rain, it is also not that often, so there is basically nothing to disturb this attractive season. As the summer is getting near, the temperatures get slightly higher and humidity also rises. 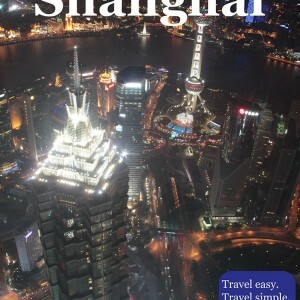 However, during this period nothing can prevent you from experiencing Shanghai at its best and enjoying its sights. Summer is the season when the hottest days of the year may occur, and together with humidity and high temperatures, they are not very pleasant to spend them outside, especially around the noon. June and July are the months when 25% of the city’s annual rainfall happen, and the period is also known as Meiyu Season (Plum Rain Season). The bad thing is that rains are quite unpredictable, so they can spoil your plans and you will have to find the alternative way of spending your time. Summer clothes and drinking a lot of water can be much helpful. Quite similarly to the spring season, autumn is very pleasant period, for travelling, outdoor activities or simply enjoying the change of the nature and its colors. Temperatures also quite resemble those from the spring, and the average is around 17°C (62.6°F), and the temperature at nights rarely goes bellow 10°C (50°F). Generally, the rains are not quite often as in the summer, but they can occur. Coats are recommended, especially as the season progresses and goes toward the winter. This is quite popular season for visiting Shanghai, out of many reasons, so be prepared for crowds and book your accommodation on time. The winter season brings many cold days, even some coldest of the year. Though usually without snow, January will be the month when you will probably not be so excited for going around and exploring the city. However, this period is still quite popular, because of the holidays, especially the Chinese New Year and Spring Festival. The temperatures can range from 2°C (35.6°F) to 11°C (51.8°F) in December, while January and February bring some colder days, with temperatures rarely below zero. Thick clothing is obligatory, especially because of the humid cold wind, and those couple of days when the snow falls.